In "Three charts on: the NBN and Australia’s digital divide" (The Conversation, June 21, 2017), Schram, Baum, Fisher, Harris, Friel and Frereman show that socio-economic disadvantaged areas of Australia have been missing out on the faster fiber National Broadband Network (NBN). 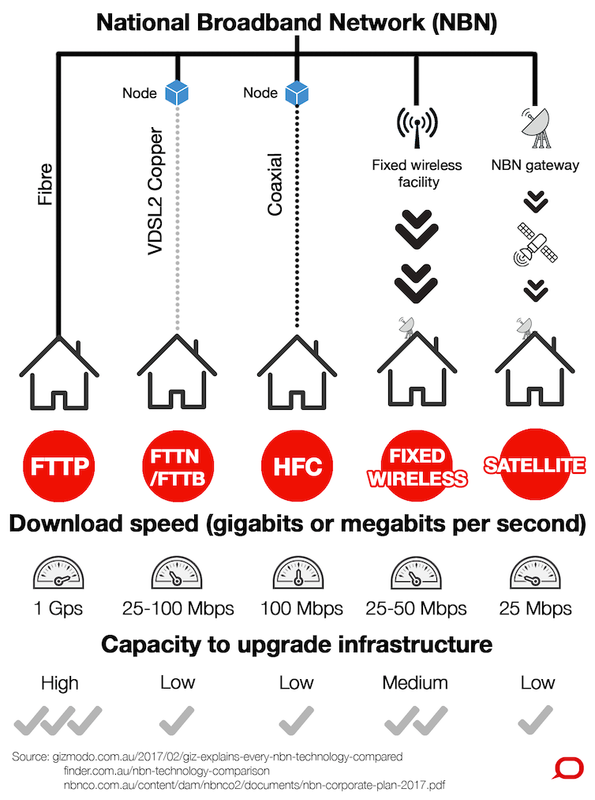 These areas get the slower wireless, hybrid fibre or satellite service. Even when location was taken into account (as wireless and satellite are primarily intended for low population densities) the same effect was found. However, why this may be the case: due to deliberate discrimination by NBN Co., an effect of the technology, or the way the existing infrastructure was built, the authors do not mention. Perhaps this will be in the peer reviewed publications of the research to come. This is not quite the broadband for social good which Roger Clarke and I envisioned in 1994.